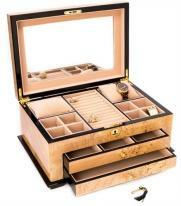 Our anti tarnish jewelry boxes have linings that are treated for tarnish free jewelry storage. Treated linings help reduce tarnish on silver jewelry. 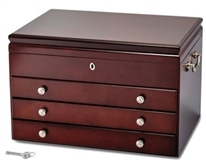 In addition to storing silver jewelry in anti tarnish jewelry boxes, it's best to store silver jewelry in a dry environment and placed so that individual pieces are not touching other jewelry items. 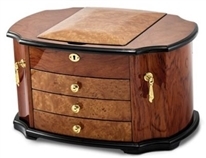 We invite you to read our blog for jewelry care tips and visit our jewelry care category for jewel cleaners and silver cleaning solutions to keep your gems and settings in new condition. 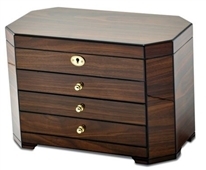 All our anti tarnish jewelry boxes qualify for easy returns and product warranties.